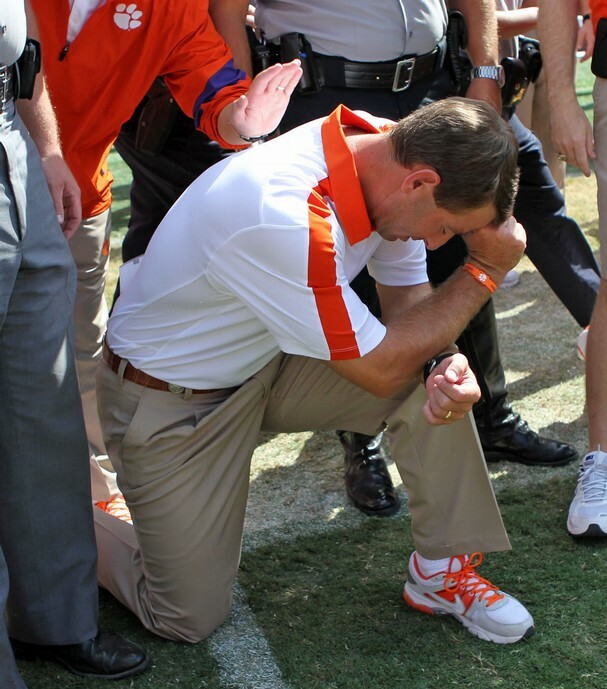 The Freedom From Religion Foundation has drawn attention to what it argues is unconstitutional behavior at Clemson’s football program, led by Coach Dabo Swinney (pictured above, reportedly praying after a 2011 victory over Auburn). How do you read the second amendment to the U.S. Constitution? How would the courts see this? And if sports programs at universities often seem to be semi-autonomous entities then does that allow coaches at public universities freedoms professors are denied? 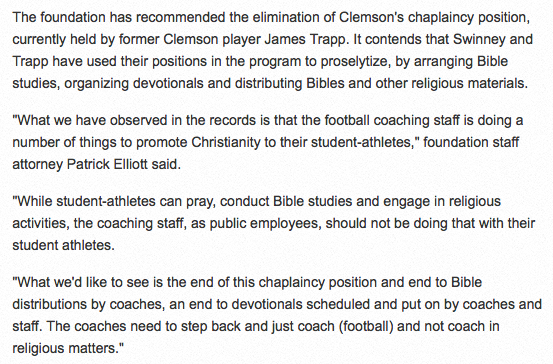 Or, to rephrase, do non-athletes have Constitutional protections that the athletes on campus don’t? This entry was posted in Faculty Blog, Relevance of Humanities, Religion in Culture and tagged Clemson, football, Prayer, Public University, Second Amendment, US Constitution by Russell McCutcheon. Bookmark the permalink.